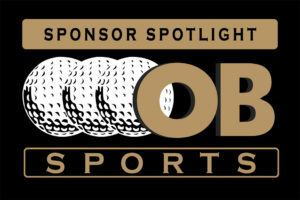 The JGAA is blessed with a number of generous sponsors, one of which is Scottsdale-based OB Sports and the golf courses under its management that host JGAA tournaments. The season starts with the New Year’s Classic at ASU Karsten Golf Course and Sunland Springs, and gains momentum in March with the Thunderbird Invitational. One of five coveted Junior Masters Series tournaments, it brings together The Thunderbirds – the civic-minded group behind the WM Phoenix Open – with the crown jewel of Phoenix municipal golf – Papago Golf Course. Papago, by the way, recently opened the Lou Grubb Clubhouse made possible through a unique public/private partnership between the City of Phoenix, Arizona State University and the Arizona Golf Community Foundation. The focal point is Lou’s Bar & Grill – an airy, open place for breakfast, lunch and dinner overlooking the Papago Buttes and downtown Phoenix. In April the JGAA heads south for the Tucson Spring Classic held at two OB-managed City of Tucson municipal golf courses – El Rio and Silverbell.  The event is the first of two sponsored by the Tucson Conquistadores, longtime drivers of golf at all levels in Southern Arizona. The second is the Tucson City Junior Championship held at Randolph Golf Complex’s Dell Urich and Randolph North Golf Courses. It’s a highly sought-after title contested on two of the oldest and most venerable golf courses in Arizona. JGAA events at OB facilities finish for the season in July at ASU Karsten Golf Course with the PING Arizona Junior Masters, routinely attracting one of the largest fields in Arizona junior golf. PING’s high-profile identity as the title sponsor adds prestige in the same way as the venue’s namesake, ASU Karsten, symbolizes notable names such as Phil Mickelson, Paul Casey, John Rahm, Azahara Munoz, Grace Park and Monica Vaughn. While only a few JGAA players reach the status of these stars, every JGAA alum earns something much more valuable.  “We are encouraged to see the JGAA also focusing on personal development in addition to player development,” said Phil Green, Chief Operating Officer and Principal of OB Sports. “Learning and playing the game leads to an appreciation of the positive way golf shapes today’s young people into tomorrow’s adults and community leaders. We’re proud to support this transformation through the JGAA.” Visit www.obsports.com to learn more.